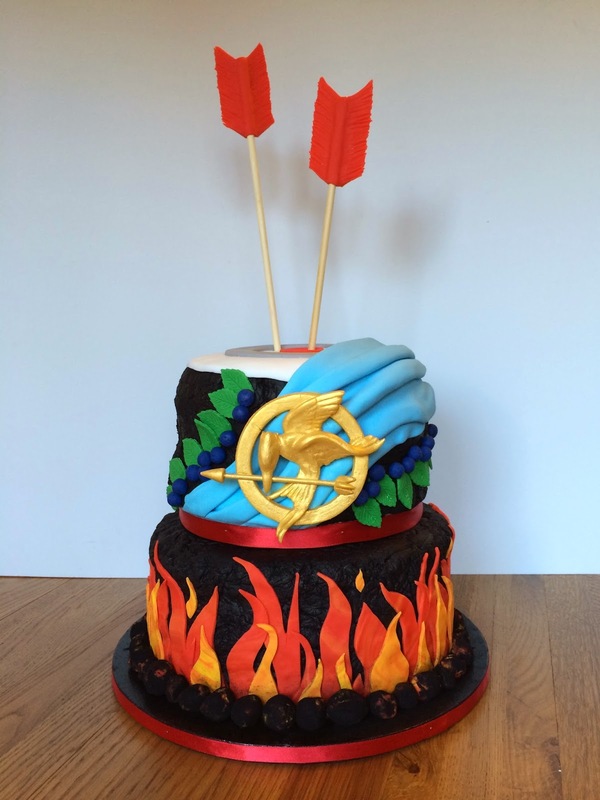 One of our Young Women at church is a big fan of The Hunger Games and asked me to make a cake for her party. 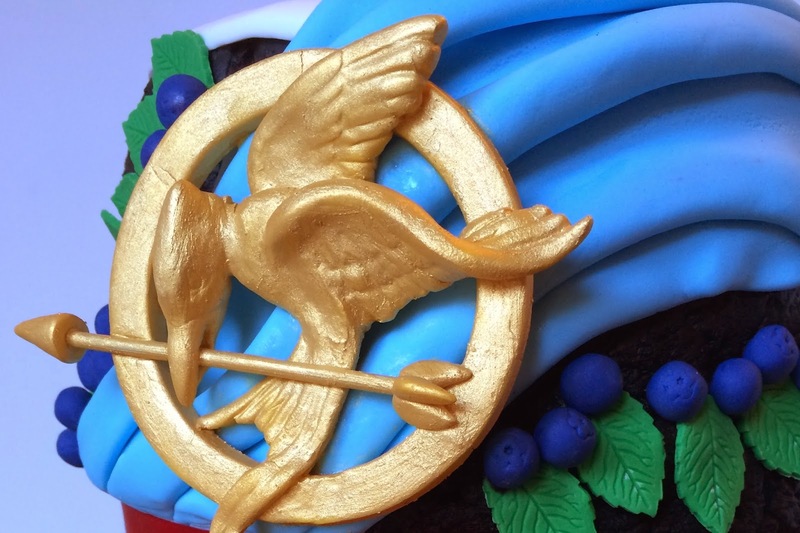 I was really pleased with how my mocking jay pin turned out. 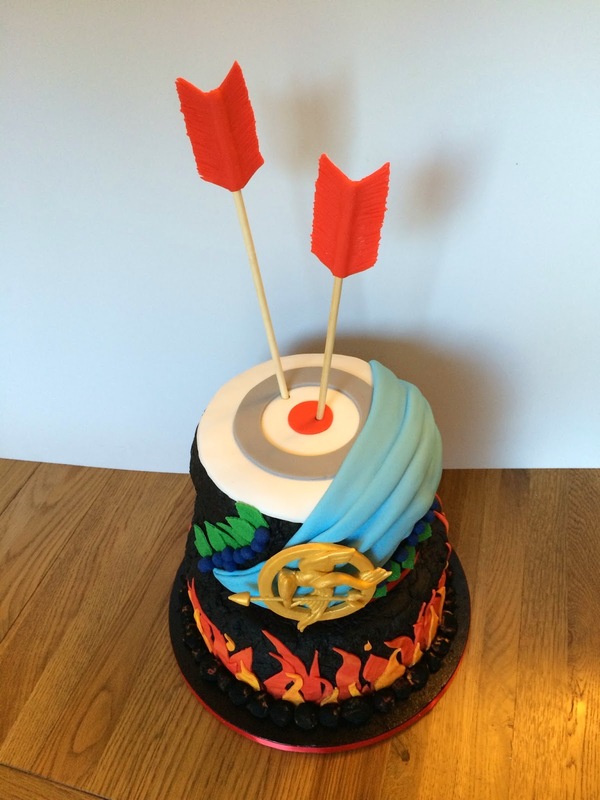 It is sculpted from fondant with tylose powder added, then painted with gold luster dust. The cake itself is my favourite moist dark chocolate cake, iced with black buttercream textured to look like coal, the rest of the details are fondant.